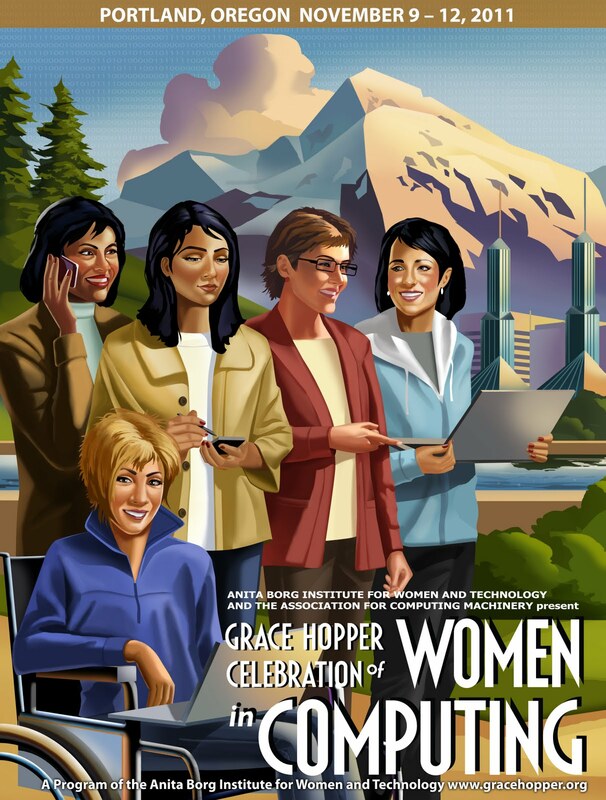 As part of Google’s commitment to diversity, we are thrilled to be a platinum sponsor of the Grace Hopper Celebration for Women in Computing, taking place from November 8 - 12 in Portland, Oregon! Over 80 Googlers will be in Portland this week and will be involved in several panels, sessions, and events at this conference dedicated to women in technology. Check out the schedule for more details on where we’ll be and when! We will also be hosting a luncheon to congratulate the Google Anita Borg scholars, Google Grace Hopper travel scholarship recipients, and other Google scholars from this past year who will be in attendance. And, as tradition holds, we will be hosting the Sponsor Night party (co-sponsored with Microsoft) on Friday for a night of music and dancing! Make sure to stop by the Google booth to find out about opportunities at Google and meet some awesome GWEs (Google Women Engineers). You may even find a few surprises there so keep checking back! To find out more about what Google is up to at Grace Hopper, you can follow the hashtags #GoogleAtGHC and #GHC11 on Google+ and Twitter. You’ll also find relevant posts from the Google Students page (launched today!) as well as posts from Googlers who are attending the conference. You can also request to be added to our “GHC 2011” circle by sharing a post and including the hashtag #GoogleAtGHC. The Grace Hopper Celebration of Women in Computing is presented by the Anita Borg Institute for Women and Technology and the Association for Computing Machinery. For more information, please visit the Grace Hopper conference site. For more information on all of our scholarships, visit the Google Scholarships site. Hope Google Plus Add more features for for establishing them best and hope within a short time Google+ page view cross facebook.